This was a surprise gift for my Mother In Law's birthday featuring the hands of all of her Grandchildren. I used alginate to cast all the hands - The children are aged 13, 10, 7, 6, 5, 4, 3 and 2. 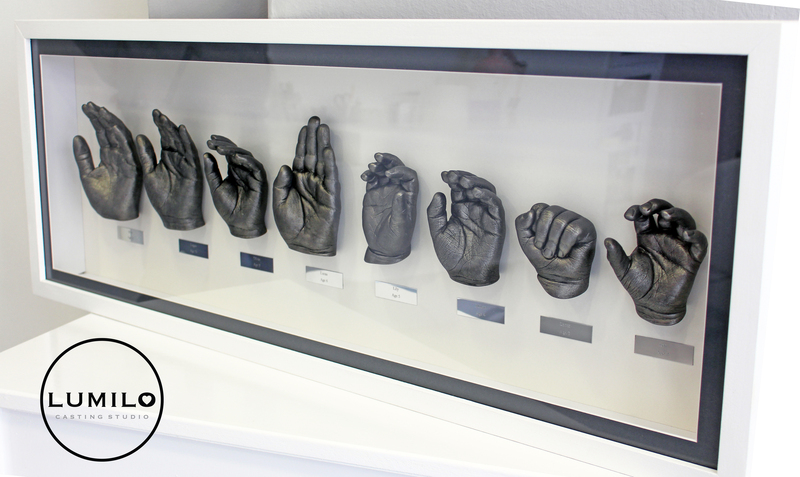 I used prestia plaster to fill the moulds and an airbrush to spray the hands Silver. I also used some black wax to bring the detail out a little more. 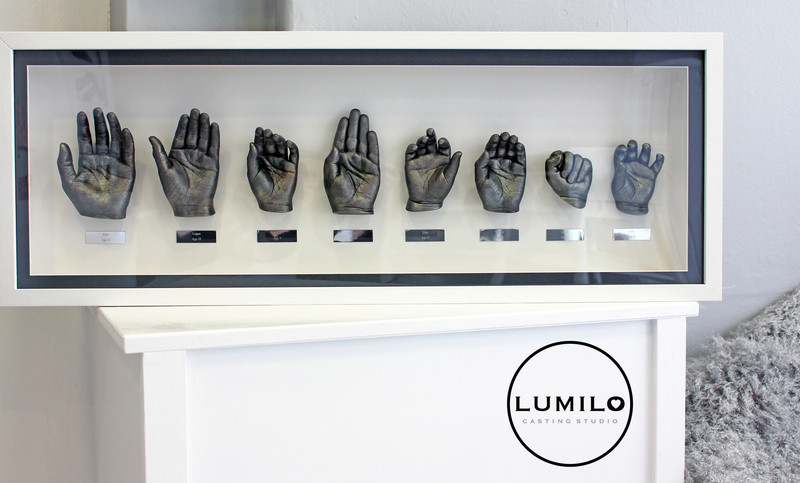 The hands were mounted in a White wooden box frame, with a Dark Grey mount, to compliment the colour of the hands. 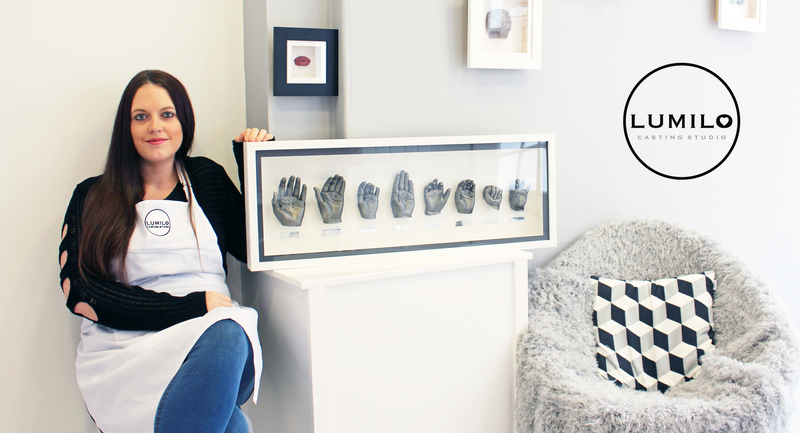 I have been life casting for just over a year now, running my own business in Scotland, and I absolutely love everything about it. Alginate is the most fascinating material and I look forward to experimenting more with it in the future.